Funeral service for James Elmer Parris, 88 of Canadian, Oklahoma. He passed away on Friday, January 18, 2019, in his home. James was born in Amarillo, Texas on July 11, 1930 to Noah Elmer and Ona Lillian Heffington Parris. 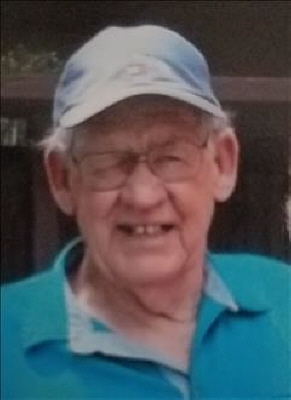 He was a veteran of the United States Navy and spent his working years as a pipe fitter. Survivors include, four sons, Ira D. Sherrin of Tecumseh, Oklahoma, James M. Sherrin of Shawnee, Oklahoma, Mark A. Parris of Holdenville, Oklahoma, and Stanley N. Parris of Canadian, Oklahoma. Service are scheduled for Tuesday, January 22, 2019 at 2:00 pm in the Holdenville Cemetery Chapel. Pastor Jimmy Freeman will officiate. A family gathering and viewing will be at the Hudson-Phillips Funeral Home on Monday evening at 6:00 to 8:00. Family and friend are asked to attend. To send flowers or a remembrance gift to the family of James Elmer Parris, please visit our Tribute Store. "Email Address" would like to share the life celebration of James Elmer Parris. Click on the "link" to go to share a favorite memory or leave a condolence message for the family.